Deborah McNelis is an Early Brain Development Specialist and owner of Brain Insights®. She is the award winning author of, The Brain Development Series, Naturally Developing Young Brains, and the Love Your Baby App. 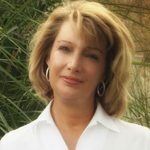 Deborah has been seen in several publications, heard on numerous radio shows, and receives rave reviews for her enlightening and engaging presentations. Deborah’s newest initiative helps entire communities, “Create Great Connections”. Her goal through this work is for everyone to gain an understanding of early brain development, it’s impact, and the ways we can all easily make a REAL difference.